In this book, nine thought-leaders engage with some of the hottest moral issues in science and ethics. Based on talks originally given at the annual “Purdue Lectures in Ethics, Policy, and Science,” the chapters explore interconnections between the three areas in an engaging and accessible way. Addressing a mixed public audience, the authors go beyond dry theory to explore some of the difficult moral questions that face scientists and policy-makers every day. 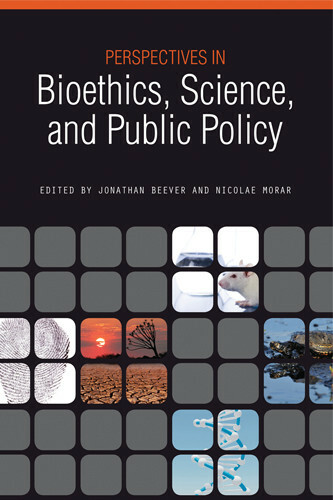 The introduction presents a theoretical framework for the book, defining the term “bioethics” as extending well beyond human well-being to wider relations between humans, nonhuman animals, the environment, and biotechnologies. Three sections then explore the complex relationship between moral value, scientific knowledge, and policy making. The first section starts with thoughts on nonhuman animal pain and moves to a discussion of animal understanding. The second section explores climate change and the impact of “green” nanotechnology on environmental concerns. The final section begins with dialog about ethical issues in nanotechnology, moves to an exploration of bio-banks (a technology with broad potential medical and environmental impact), and ends with a survey of the impact of biotechnologies on (synthetic) life itself. Contents: Part 1: Animals: Moral agency, moral considerability, and consciousness (Daniel Kelly) and From minds to minding (Mark Bernstein); Animal Pain: What is it and why does it matter? (Bernard Rollin). Part 2: Environment: The future of environmental ethics (Holmes Rolston III); Climate change, human rights, and the trillionth ton of carbon (Henry Shue); Ethics, environment, and nanotechnology (Barbara Karn). Part 3: Biotechnologies: Nanotechnologies: Science and society (James Leary); Ethical issues in constructing and using bio-banks (Eric Meslin); Synthetic life: A new industrial revolution (Gregory Kaebnick). Jonathan Beever co-founded the Purdue Lectures in Ethics, Policy, and Science at Purdue University. Beever receives his doctorate from Purdue in December 2012. His primary research in philosophy focuses on applied ethics, science, and bioethics, but also he works in continental philosophy, political and moral philosophy, and semiotics. 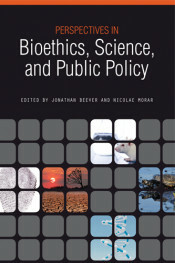 Beever has published on several interrelated topics concerning semiotics, environmental value, biotechnological risk, and bioethics. Morar is a 2011-2012 Faculty Fellow in the Department of Philosophy and in the Environmental Studies Program at the University of Oregon. He recently received his doctoral degree from Purdue University with a thesis analyzing the ways in which current biotechnologies are altering traditional conceptions of human nature. He is also coediting a book with V. Cisney on New Directions in Biopower: Ethics and Politics in the Twenty-First Century.